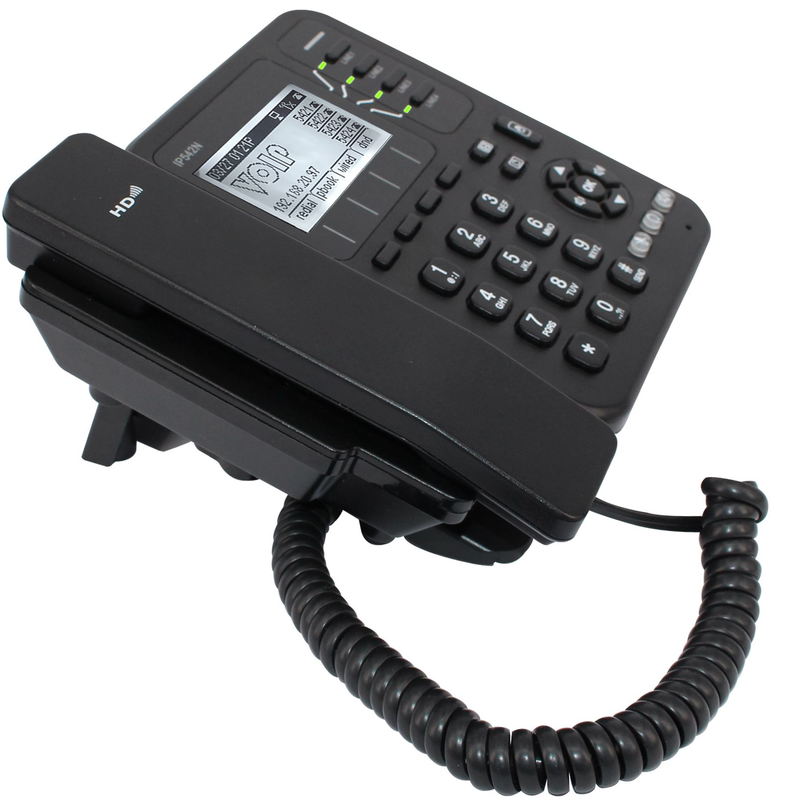 Flyingvoice IP542N which has 4 lines and is an advanced wireless (Wi-Fi) VoIP phone with internal antenna built in. 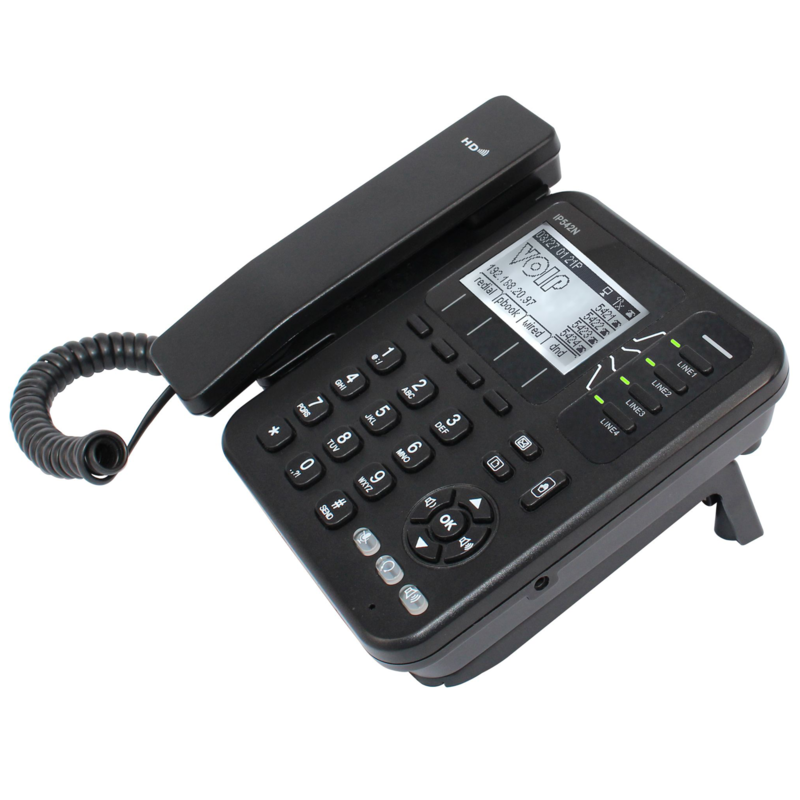 Flyingvoice IP542N provides voice communication over an IP network in the everyday business environment. It offers high quality voice HD handset, HD speaker and HD codec (G.722). The built-in internal antenna connects user　to the network much easier and much faster. 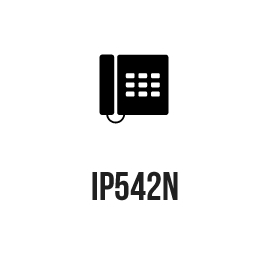 User can not only connect IP542N to the network by using an Ethernet cable, but also he/ she can connect IP542N to the wireless (Wi-Fi) network keeping the performance the same as mobile phone. User can connect to the wireless (Wi-Fi) network on IP542N’s LCD or on phone’s webpage. For details about the connections please refer to IP542N user manual. 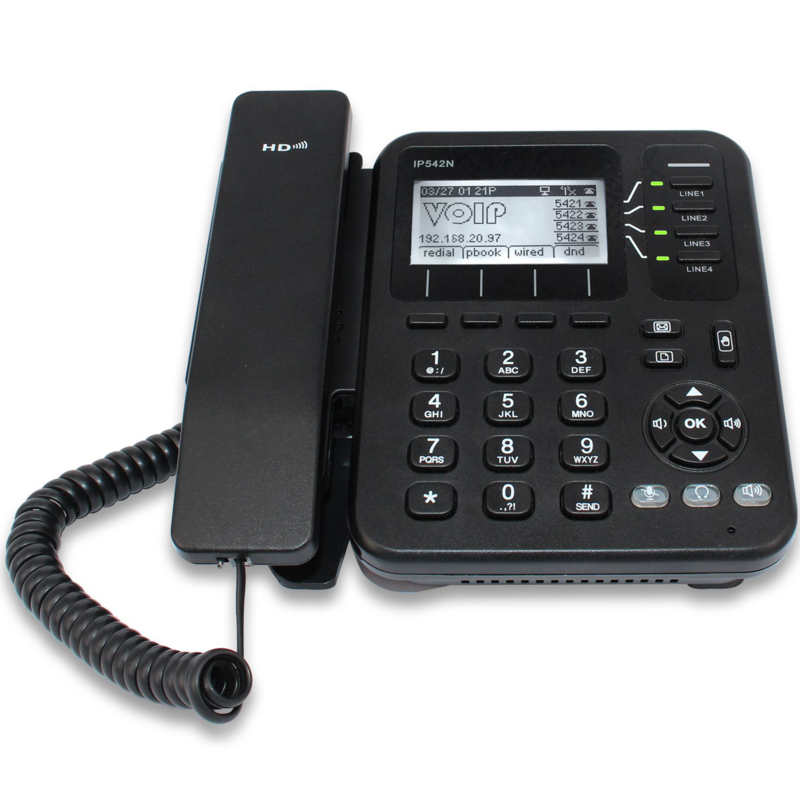 This phone functions much like a traditional phone which allows you to make and receive calls and enjoy the features of a traditional business phone. It also owns many data services which you could not expect from traditional telephone. In addition the phone has two Ethernet ports for connecting other devices to the local area network. The IP542N has a 3dB internal antenna for 802.11n 1T1R and supports wireless (Wi-Fi) which helps the user to connect to the network easily and enjoy the network smoothly. The IP542N supports 4 codec: G.711 (A-Law, U-Law), G.729A/AB, G.723 with 5.3 kbps and 6.3 kbps, and G.722 (HD). 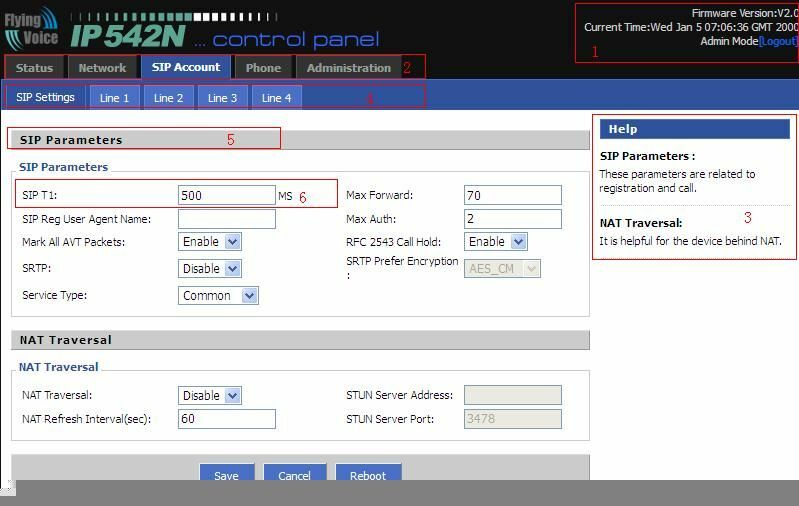 The IP542N supportsweb configuration with MD5 authentication, and two level configurations which are admin mode and user mode. In admin mode user can configure all parameters, while in user mode user can only configure partly parameters with partly can’t configuration such as VoIP settings. Place 1: Display the main information, such as firmware version, DSP version, Current Time, and configuration mode. Press Logout button to logout. Place 2: Click navigation bar, and then many sub-navigation bars will appear in the place 4. Place 3: Display the briefly explanation of the corresponding web; user can get help from it directly. Place 4: Choose sub-navigation bars to open one configuration webpage. Place 5: The configuration column. Place 6: Parameters and settings value. 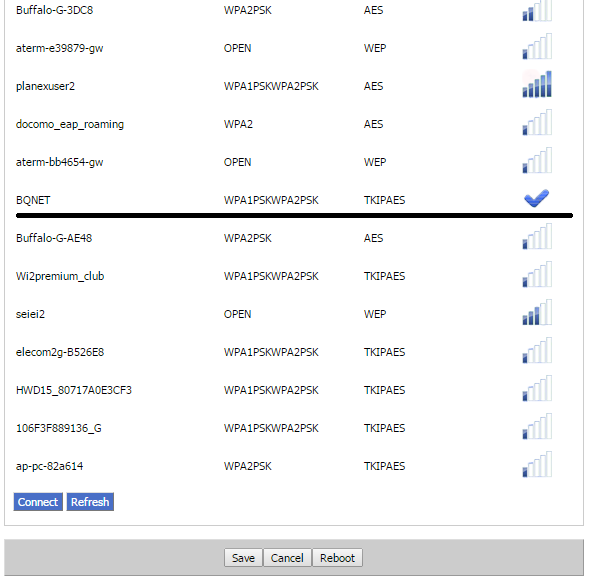 This page lists the status of your wireless (Wi-Fi) connections and the available wireless (Wi-Fi) network nearby.